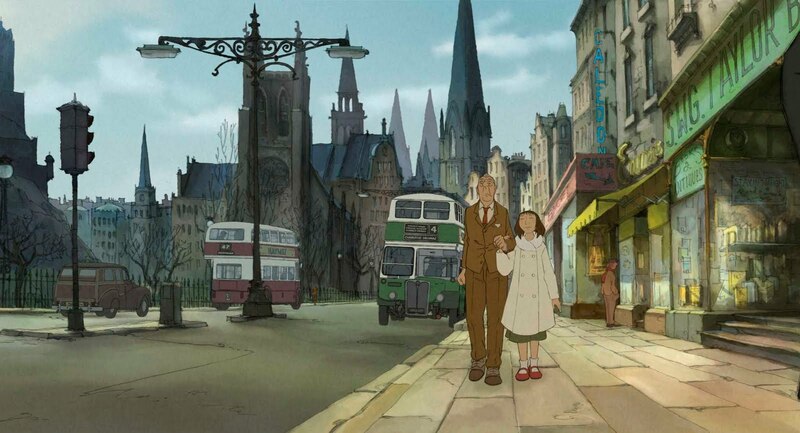 When it was released in 2010, The Illusionist, a french animated film from director Sylvain Chomet, received a lot of warmth from the industry pundits. All of the good word of mouth that it received eventually led the film to a surprising Oscar nomination against the heavily favored Toy Story 3, which came out, as predicted, as the clear winner on the night. As a piece of art, “The Illusionist” does not have anything to envy other major Hollywood releases on that year, or any year before that. The film is a very charming little story about an “Illusionist”, a precedent to today’s flashier and louder magicians, who struggles to make a living as his art is no longer as popular as it once was. The character is, unlike today’s show-driven illusion masters, an elegant, quiet type, who has perfected the commonly known tricks that have been immitated for many decades. Perhaps due to the nature of our protagonist’s chosen profession, the film moves forward with very little dialogue, if any. Whenever there is an exchange of words, it usually happens behind closed doors or at a distance, muted by music and/or ambient noise. One of the most interesting and peculiar aspects of the film is watching how the producers do away with words and rely on body language and an ocassional sound to make the scenes perfectly clear. Also due to the almost silent quality of the film, we are forced to look more closely, appreciating the amount of painstaking work that was definitely put into creating a very rich style of hand-drawn animation. Without dialogue we are also more connected to the imagery presented to us, which in turn manages to bring out an emotional response at certain tragic moments. 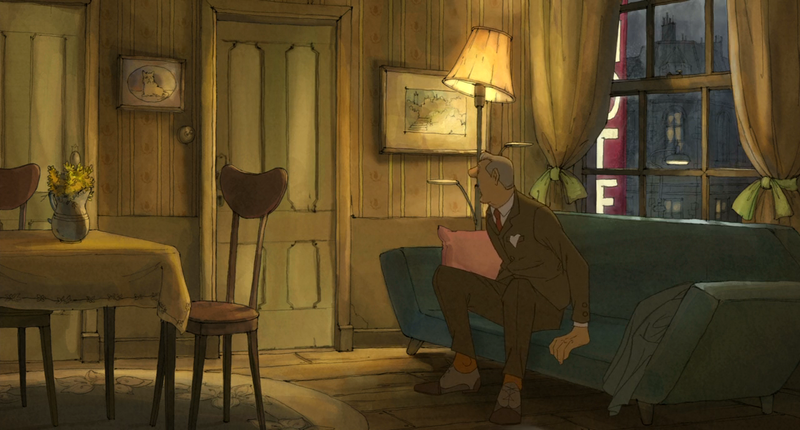 The Illusionist is also full of detail. There are towns, cities, theatres and secondary characters that become almost as rich as our central characters. We often find comedy or tragedy in those details that, if it were not for the silent quality of the film, we would perhaps not notice as much. In this sense, the film relies on the old principle of “suggestion”, giving us enough visual clues to construct a story without telling us what it is about upfront. Beyond the artistry and the evident care that went into the making of the film, The Illusionist falls a bit flat when it comes to its reach. To blame is perhaps the film’s modesty. Not once did it dare to explore more deeply the relationsip between our magician of sorts and the little girl that casually follows him from a small, seemingly Irish town, into the more sophisticated, glamorous life of the city. Even when it remains clear that our Illusionist is infatuated with this girl that follows him everywhere, she, on the other hand, remains a bit too shallow and maybe even too innocent for us to root for them to stay together. In fact, the path the relationship between the two follows becomes predictable, almost infuriatingly so, as we see our Illusionist cater to her every desire, while she is ungrateful or perhaps unaware of all the sacrifices he made. There are, however, a few moments that stand out. These often stem from the melancholic way in which the film touches upon a form of circus-like entertainment that, in its traditional form, has all but extinguished. This movie is terribly sad. I really didn’t expect it to take the turn that it did. That being said I did enjoy it though. Glad to read your thoughts on it though. Thanks for the writeup. I was very impressed by the animation, though the story I found to be lacking , and the film felt overlong for the story it was telling.